This post is sponsored by BringChange2Mind.org. I was compensated for sharing my story of mental illnesses, and to help start a conversation about the stigmas around mental illnesses. I have an anxiety disorder. I also suffer from depression. My mental health is something I've had to battle since I was a young teen, and it's something that will always affect me. I have bouts where I am not physically able to leave the house because this crushing fear overwhelms me and all I want to do is hide. The absolute worst? Having a panic attack because I'm worried that I might have a panic attack. If you don't have anxiety issues or spend time with someone who does, this might be something you don't understand. There's a vicious cycle with panic disorder - you have a panic attack, and then you worry for the next month when the next one will hit. It can be almost crippling to feel that way. There's a stigma that surrounds mental disorders. 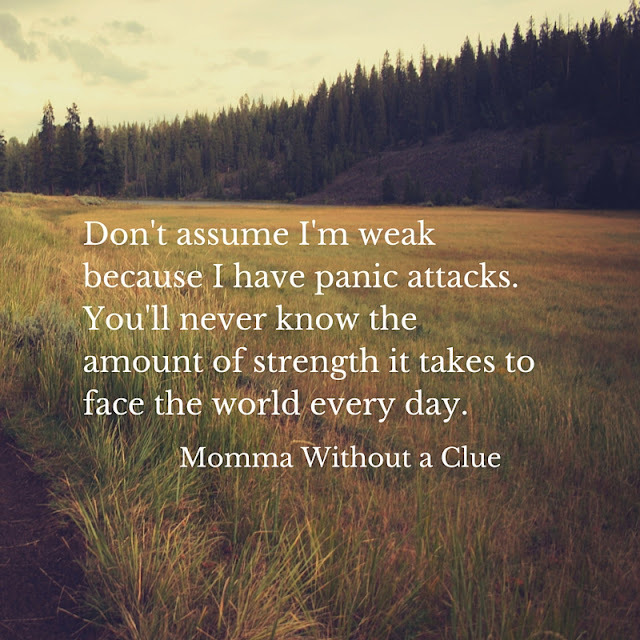 So many people believe that a mental disorder is a sign of weakness, but it isn't. A mental illness is not caused by personal weakness, and no amount of positive thinking or willpower can "fix" it. Since May was Mental Health Awareness month, I thought I would share with you guys some of the things that people have said to me over the years that really did not help. You see, even though 42.5 million American adults (or 18.2 percent of the total adult population in the United States) have a mental illness, it's still a taboo topic that no one seems to want to speak about. Yes, I have an anxiety disorder. No, it's not contagious. No, I'm not a weaker person. This is probably the worst thing you can say to someone in the midst of a total freak out. Don't you think I'm trying to calm down? PsychologyToday.com gives this analogy: “telling someone with an anxiety disorder to ‘calm down,’ is like telling someone with allergies to ‘stop sneezing.’” It isn't something we can control. 2. There isn't anything to worry about. This one is interchangeable with "you're worrying about nothing!" It says to us that you don't believe our fears and/or worries are valid and that our thoughts have no value. That might not be what you mean, but that's totally how we're going to take it. Instead, try saying something like, "I know you're worried, how can I help this less stressful?" Unless you also have an anxiety disorder, please don't say this. Unless you know what it feels like to have a panic attack in the middle of the grocery store, you don't know how I feel. And even if you have had a panic attack before, this is still something you don't want to say in the middle of someone else having a breakdown. Because we don't even know how we feel in the middle of it - so there's no way you could know either. 4. You just need some fresh air/to get out of the house/to relax. 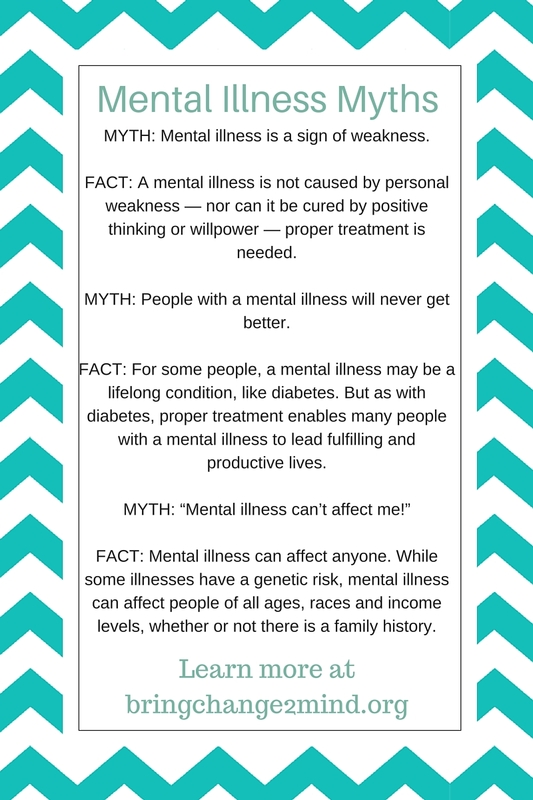 Every mental illness is different, but there isn't any easy fix to any of them. And while there may not be a cure for anxiety, it can be managed with therapy, medication, and other proven treatments. 5. It's all in your head. You know, technically, that's right. Our brains are wired differently, so there is a modicum of truth to that. Making us feel like we're "crazy" because we react differently to stressful situations, however, is not helpful. I'm sure if you're reading this, and you have anxiety, or any mental illness for that matter, that you could chime in and add a few more to this list. Psychological disorders just aren't understood like they should be. That's why I'm sharing my story - because learning about the experiences of others can help reduce the stigma associated with mental illness and give those who are suffering the courage to seek help. The fact is, a mental illness is a disorder of the brain. It can come in many forms, from GAD and depression like I deal with to ADHD, eating disorders, bipolar disorder, ADHD, DID, PBD, PTSD, and a whole slew of other acronyms. Opening the DSM is like jumping into a bowl of alphabet soup, and one in four adults experience mental illness in a given year. Like other diseases, mental illness can be caused by many factors – from genetics to other biological, environmental and social/cultural factors. And just as with most diseases, mental illnesses are no one’s fault. The unusual behaviors associated with some illnesses are symptoms of the disease – not the cause. But most importantly, mental illnesses are treatable through medication and psychosocial therapies – allowing those who live with them the opportunity to lead full and productive lives. Bring Change to Mind (BC2M) is a nonprofit organization built to start the conversation about mental health, co-founded by Glenn Close. They're hoping to amplify their mission by bringing this discussion about mental illness online to build the awareness, understanding, and empathy necessary to inspire action to end stigma and discrimination. If you want to help end the stigmas around mental illnesses, please share your own story on either the BC2M platform or on social media with #MindOurFuture. 15-year-old Whitney Woerz Debut EP now available on iTunes. Do you have a mental illness? Want to help end the stigma?